The fine folks at Duluth Trading Company have gone and done it again, creating yet another fantastic product. This latest creation is a microscopic jade embedded, ultralight weight wicking fabric that actually lowers skin temperature! The clothing containing this space age technology, that I do not even attempt to comprehend, comes in a huge selection of pants, shirts, shorts and even hats, all designed to make working through the heat of summer more comfortable and enjoyable. This exciting heat taming line of clothing is called the Armachillo work wear series and the ad boasts that it will “stand up to Texas sized heat”. Well, that might be good and all but what I want to know is how do these clothes stand up to Maine blackflies, mudseason, bass fishing, piling a couple chord of wood and shielding my arm from the misguided blade of a chainsaw!?! To answer all these questions, I formulated a series of tests, of their khaki long sleeve Armachillo shirt, designed to push the shirt beyond its limits in the oppressive Maine wilderness. Sliding on this shirt reminds me of naked margarita night . . . instantly cool, refreshing and extremely unrestricting. Loaded with bellowed pockets and features like UPF 40 protection, an antimicrobial finish for fighting odor and buttons on the sleeves to keep them rolled up, make the shirt more functional than a Swiss army knife. The arrival of spring brings with it mud season and the annual migration of Maine’s state bird, the blackfly. 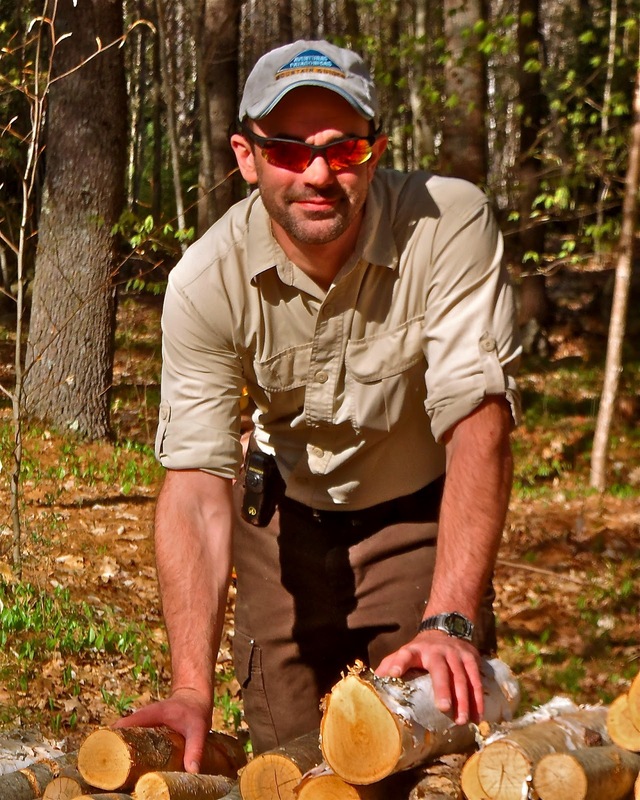 This sloppy season and nasty little biting insect work together to make Maine’s spring season a challenge for even the most well equipped sportsman, however, they were no match for my Armachillo shirt. The 100% nylon construction means it is basically impervious to dirt, grime and of course MUD. The long sleeves, high collar and long back kept me tucked in, covered and protected from the angry hoards of rampant blackflies and even while cutting, splitting and stacking wood the shirt allowed for a full range of movement without becoming untucked or sleeves unrolled!! Unfortunately, the Armachillo shirt will not stop the rapidly spinning blade of a chainsaw, so I suggest that while cutting wood care is taken to ensure you do not get your arms or torso near the dangerous end. While Duluth markets this shirt as “work wear”, it should also be noted that these clothes would be perfect for hiking, backpacking, fishing, canoeing or enjoying any and all of your favorite Summertime sporting pursuits. Be sure to follow along with my Duluth shirt and me this summer as we explore Maine’s wilderness and waters in cool comfort! How did the shirt hold up to the summer heat?